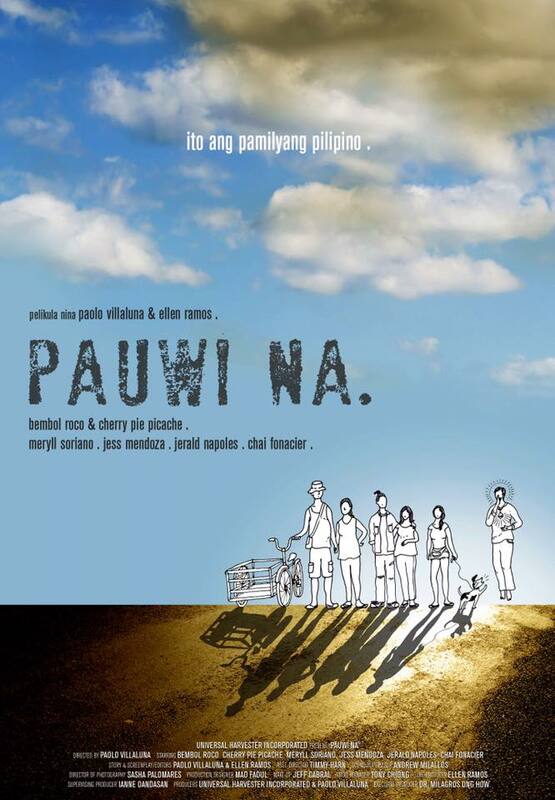 Pauwi Na is one of the Official entries of the 2017 Pista ng Pelikulang Pilipino that tackles a story a struggling family who traveled from Quezon City to Bicol Region on a pedicab. A series of unfortunate events will test their determination as they finally make their way home. This movie is directed by Paolo Villaluna under Universal Harbester Incorporated. Casts: Bembol Roco, Cherry Pie Picache, Meryll Soriano, Jerald Napoles, Jess Mendoza & Chai Fonacier. I am just so impressed with Pauwi Na. For me, one of the best Pinoy indie drama made in years. Finally, it is so great to see a quality movie about poverty and family values wrapped in a simple package yet cuts deep with your emotions. Actually, I am literally blown away on how the movie creatively played with its story-telling technique and cinematography from visual editing to production design. At some point, I can see Poverty on beautiful setting. This is somehow a good thing for light-hearted moviegoers since majority of the scenes are not so directly hard-hitting. The scenes are subtle enough to portray hardship and poverty because it will allow you to feel it instead. What I like is the insertion of creative scenes and metaphors in between major setbacks in the story. These interpretations are just brilliantly executed. The plot of the movie flows naturally with very relatable sequences that were all shot beautifully. I also loved their interpretation of Jesus in the movie. Aside from a very impressive Cinematography and Plot presentation, Pauwi Na’s strength is mostly attributed to its very talented casts. Bembol and Cherry Pie were just so delightful to watch on-screen. They both gave meaningful performances. Jerald and Chai were great as well. I must say, all of them were pretty good. Overall, the movie is heartwarming and very inspiring. Its definitely worth-watching. I can’t say any negative about the film. I enjoyed it as much as I was inspired by its very relatable and light-hearted plot. Yes, you may still watch some of Pista ng Pelikulang Pilipino Films here in Davao City. until September 23, 2017. Visit FDCP Cinematheque Davao here at Palma Gil Street, Davao City. You may call them at (082) 282-4579.